How long will my cake take? Can I have my cake order delivered on a specific date? Yes! Although all our cakes are sent out via a next day delivery service, you may choose a future delivery date during the checkout process. We will schedule your order to be made fresh and dispatched the day before it is due to be delivered. Please note that we do not offer delivery on a Sunday or Monday, or some public holidays. 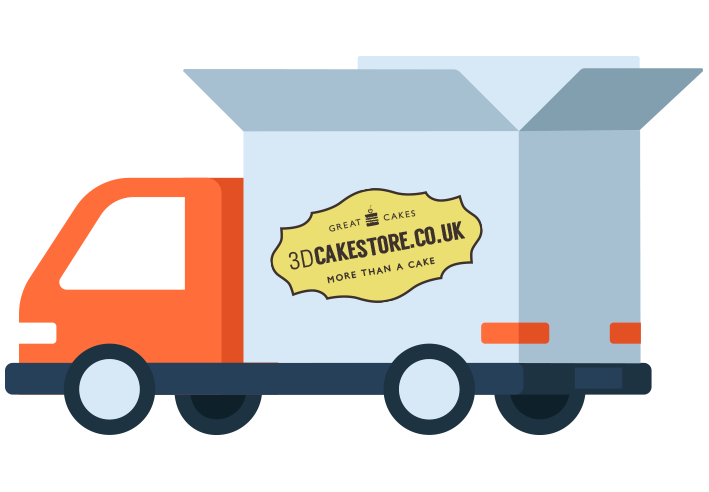 At 3D Cake Store, we always try and offer you the cheapest international delivery rates for our cakes, so please contact for a quote! Are there any delivery alternatives? Cakes are also available for collection from our Shrewsbury studio once ordered. Please let us know if you’d like to pick up your cake yourself so we can arrange a time and date to suit you.